Fresh email marketing ideas are few and far between. Unless you really stop and think about what you’re reading, it’s easy to miss some of the fantastic emails that hit our inboxes daily. Today, we’re going to dissect some messages for inspiration from TripAdvisor, a prolific and creative email marketer. As the world’s largest travel site, TripAdvisor puts together pieces of advice and opinions from millions of travelers to facilitate, improve, and nurture everyone’s inner wanderer. Today, we’re going to look at the email marketing ideas employed by TripAdvisor and how they craft messages that their users are eager to open. As one of the first points of contact with readers, the subject line is a valuable opportunity to spark intrigue and entice opens. Hundreds of emails flood our inboxes daily, making it exceptionally important to make a powerful impact from the onset. As a marketer, you need to create enough motivation to move the passive viewer into an active reader. Subject: ♥ at first sight: 10 beautiful overwater bungalows. This first subject demonstrates an effective usage of emojis. By starting the subject with an emoji, TripAdvisor draws immediate attention to the message–especially on mobile devices where the heart is colored a bright red. It makes sense in the context of the subject and it doesn’t come across as gimmicky. Our internal tests within the travel industry have found that emails starting with an emoji have open rates that are 6% higher than identical emails without an emoji. It’s important to note that these results are from campaigns that tactfully and properly use emojis. 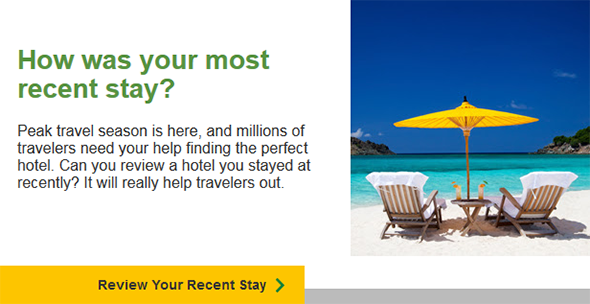 TripAdvisor’s email is a shining example of an effective and intelligent way to properly test for open-rate increases. This subject line is a prime example of using dynamic elements to draw eyes to a subject line. First, TripAdvisor addresses readers by name–a fairly standard dynamic element. Next, however, they list off common trip destinations close to my location, capturing the allure of local popular getaways. I recognize these local spots immediately, creating a relevant connection between myself and the email. Even if you can’t capture someone’s specific location, leveraging a region can be just as effective. This time around, TripAdvisor is trying something similar with a brief, captivating subject. While this sort of messaging may not work for your business, the lesson to take away is that it’s there’s seldom a bad idea to test. Staying true to the theme of travel, TripAdvisor uses messaging to create intrigue and encourage users to explore what they have to say. They achieve this in a few different ways. In a perfect world, anybody that puts anything online should consider “delivering good content” a must-use strategy. Unfortunately, we don’t live in a perfect world and many people create content for content’s sake. 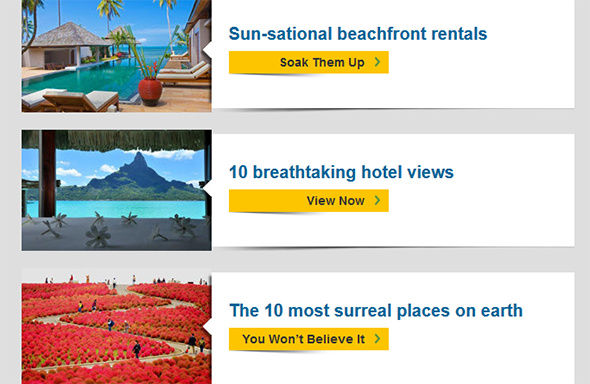 TripAdvisor, however, takes extra care to create articles and lists that provide value to their readership. Articles from TripAdvisor always feature vibrant imagery and evocative language. 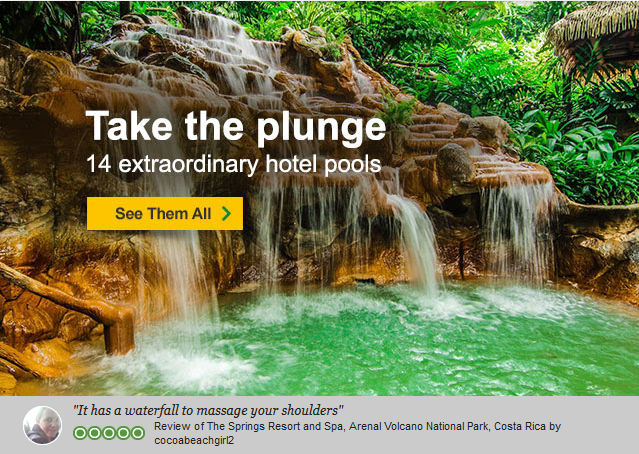 In the example above, the customer review praises a “waterfall to massage your shoulders.” What better way to describe paradise? 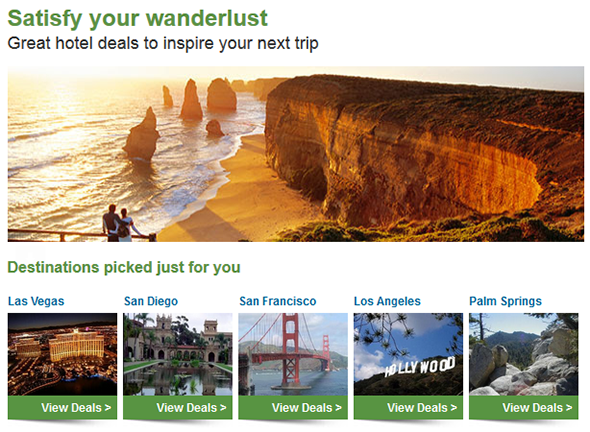 A good number of the marketing emails from TripAdvisor ask users an alluring question, use engaging imagery (as seen below), and before any other text, they place an actionable CTA. If you’re an avid traveler, then you probably love to discover new things. Nothing promotes discovery like an open-ended question paired with a beautiful snapshot. As readers, we have a natural inclination to put an answer to every question; these types of emails are great for convincing viewers that finding the answer is the proper next step. In a recent email series, TripAdvisor took the gamble of assuming that the reader had traveled during the peak season. In the email, they invite the user to come back to TripAdvisor and leave a review of where they’ve been. Getting users to return to their site is always a victory. You cannot convert consumers that aren’t on your site, so this takes priority. If the user leaves a review, it ups the value for all visitors to TripAdvisor.com. If the reader hasn’t traveled, there’s little doubt that a cool blue ocean vista taken from a white-sands viewpoint is a good way to evoke the desire to travel, which will likely lead to using TripAdvisor. Just as they did with the subject lines, TripAdvisor’s team does a great job of customizing email content to match the individual user. Using my location and previous preferences, TripAdvisor selects nearby destinations with attractive visuals to try and encourage an impulse deal purchase. By selecting destinations based on location, TripAdvisor does a great job of ensuring that I’ve either already been to one or more of the selections (making me an eligible reviewer) or that I want to escape to a nearby getaway. The dynamic design is slick and, unless you pay attention to marketing details, comes across naturally. Every healthy marketing email contains at least one call-to-action. This is the instruction that you leave with the reader, pointing them in the direction of the incredibly important first step to conversion. In a marketing landscape where the average consumer is told to, “Click Here!” or “Find Out More!” hundreds of times daily, TripAdvisor takes a refreshing approach to encouraging clicks. The CTAs in the email example above are all catered directly to the article’s subject and paired with a captivating image. Prompts like, “You Won’t Believe It” and “Soak Them Up” do a much better job of selling the story the article is trying to convey than generic equivalents. 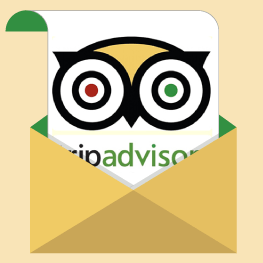 TripAdvisor’s emails give us a few great examples of how to create engaging, interesting content for your users. For more information on email marketing, remarketing, and site optimization in general, contact UpSellit! UpSellit designs, develops and optimizes personalized conversion experiences that increase online profitability for the web’s largest brands. Enter your email address below and we'll send you detailed information about how ABBYY increased their conversion rate by 34%.